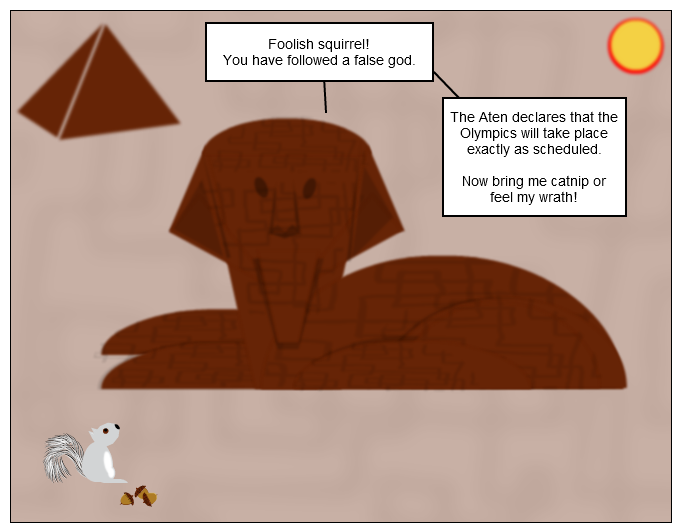 The Aten declares that the Olympics will take place exactly as scheduled. Now bring me catnip or feel my wrath! You have followed a false god. Bring me catnip or feel my wrath...words every cat owner has unknowingly heard!